Of late, I have started enjoying making conversations with strangers – mostly Uber drivers. Maybe it has got to do with the fact that I am living in a new city, and that I use Uber a lot to commute to office these days. Since I knew that my stay in this city would be temporary, I had got myself a used scooter that I thought would suffice for my daily commutes to office. But like the impulsive shopper that I am, I hadn’t put a lot of thought into this transaction as well. The chai-wallah near my home had shown keen interest in my scooter and had asked me whether I would be willing to sell my scooter to him when I left Pune. I thought this would be a good time to strike a deal with him, which I did. I did not do a monetary transaction. Instead, I gave my scooter to him in exchange of free teas from his shop. He was overjoyed. Post the deal, I had to rely on Uber for my office commutes. And it was during one of these trips that I met Bakshi (not his real name of course – I changed it to protect his identity. Brilliant me). 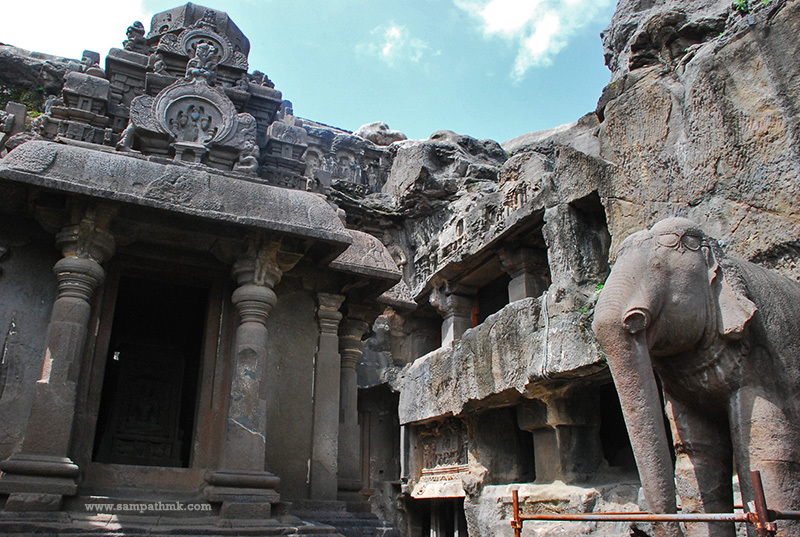 Bakshi was telling me about his recent trips and mentioned about Ellora, which spiked my interest in the conversation. 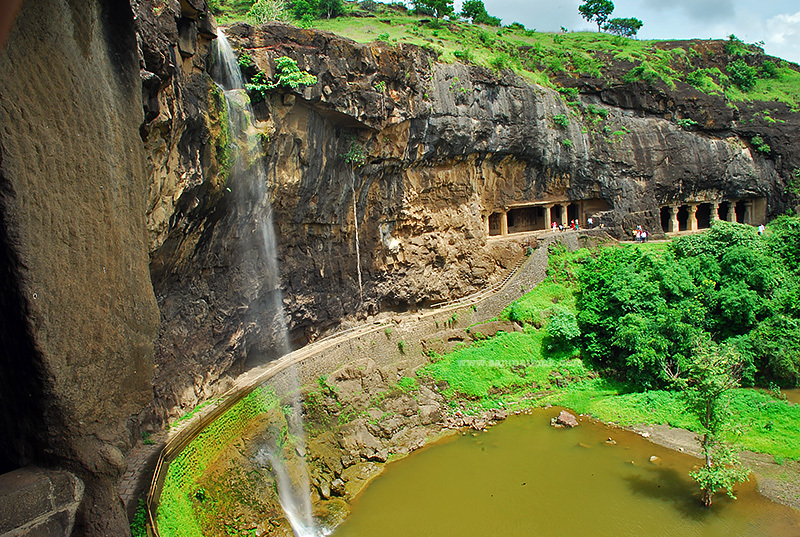 I had marked down Ellora as one of the places I wanted to visit before I left Pune, given its proximity to Pune. I asked him if he would take me there over the weekend, which he agreed. 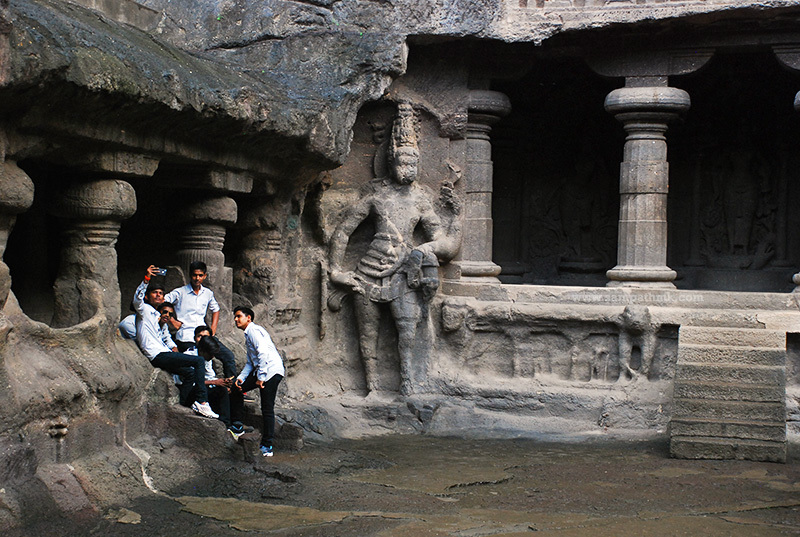 So off we went, to the famous Ellora caves in Aurangabad. 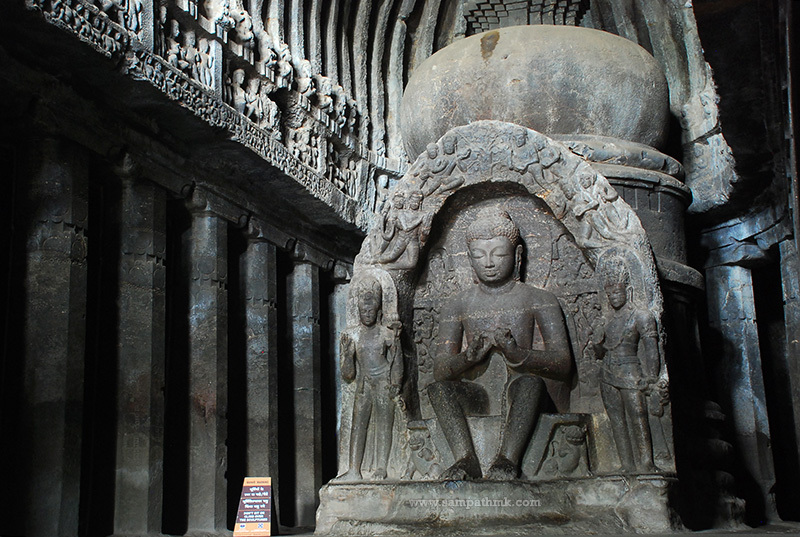 Cave #10 – Most famous of the Buddhist caves. Also known as ‘Carpenter’s Cave’. It was drizzling. The rock was slippery. Like many, I too am scared of heights; my legs were trembling. Yet I risked my life and took this snap. For you! (A bit overdramatic there eh.. :)). 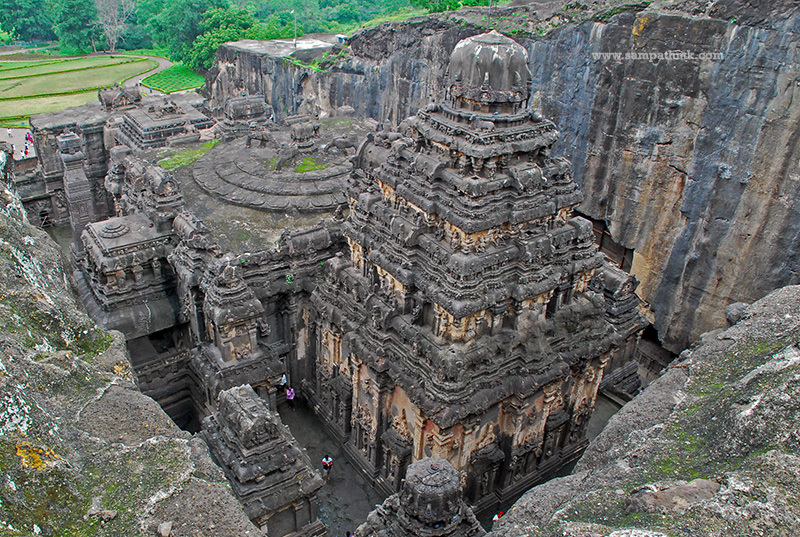 This is Cave #16 – Kailasa temple. It is a single rocked carved in that shape! They came, they saw, and they took a selfie. 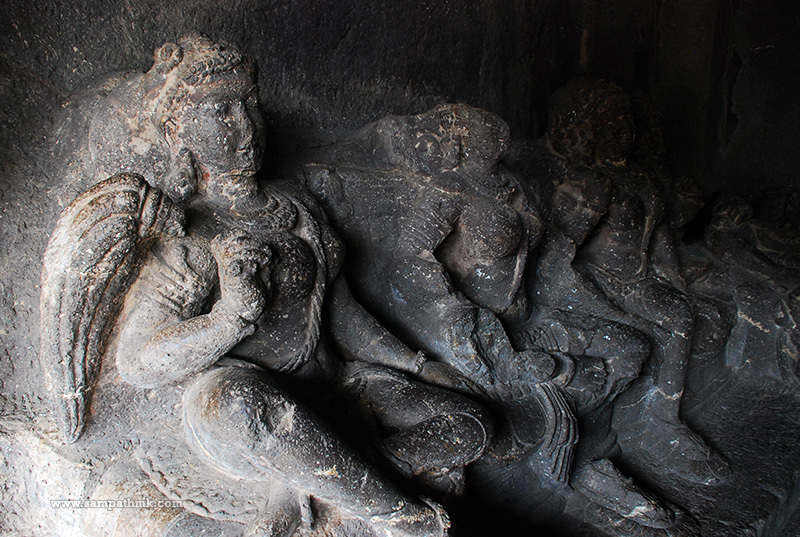 Cave #16 – If you haven’t read Mahabharata, worry not. 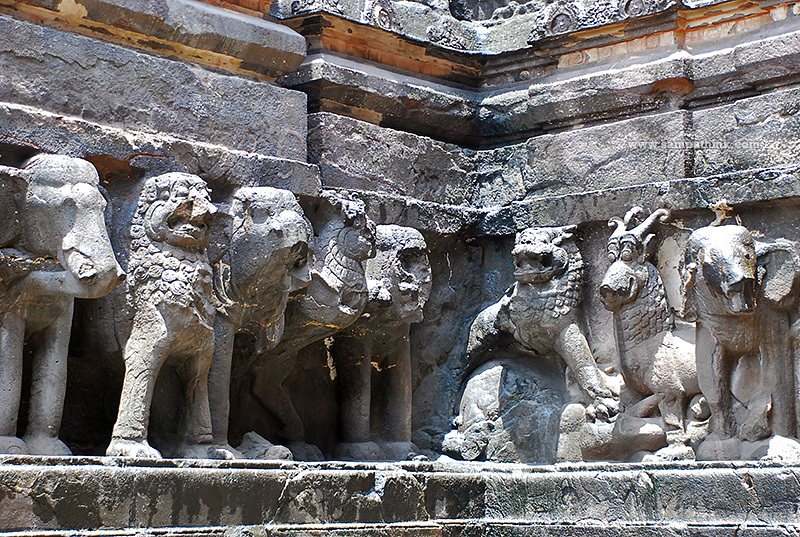 Just decipher the carvings here. 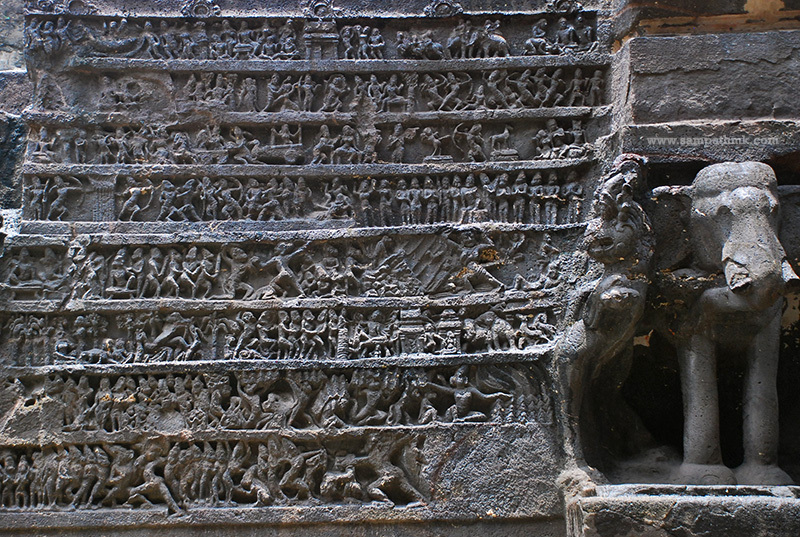 A carved panel depicting the story of Mahabharata. I dont really know what this carving means, but looks to me like a person dusting himself; maybe implying the significance of keeping oneself clean. I think he is also shown wearing a fitness tracker; signifying the importance of health. Room with a view: A view from Cave #29. This must have been a premium room back then. 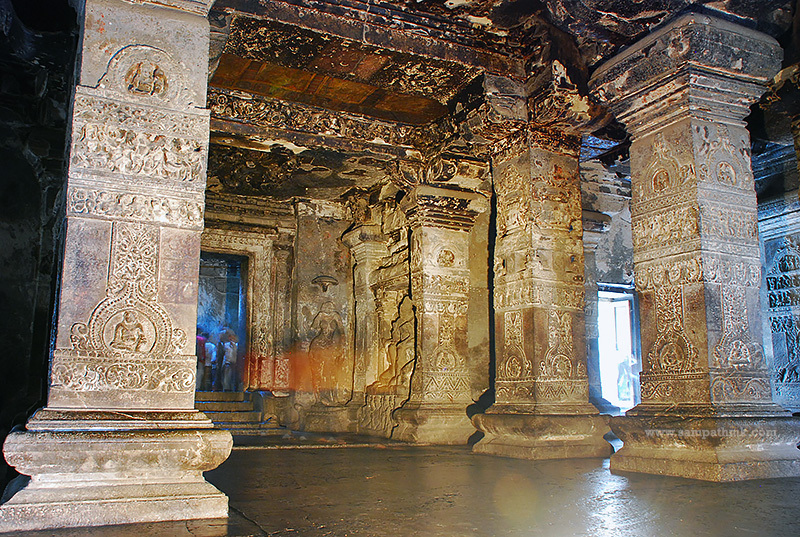 Cave #32 – ‘An excellent amalgamation of Dravidian and Buddhist architecture styles’, says the literature I got from there. Well, I agree. Monkey gate: Had great fun watching the monkeys outside the caves. 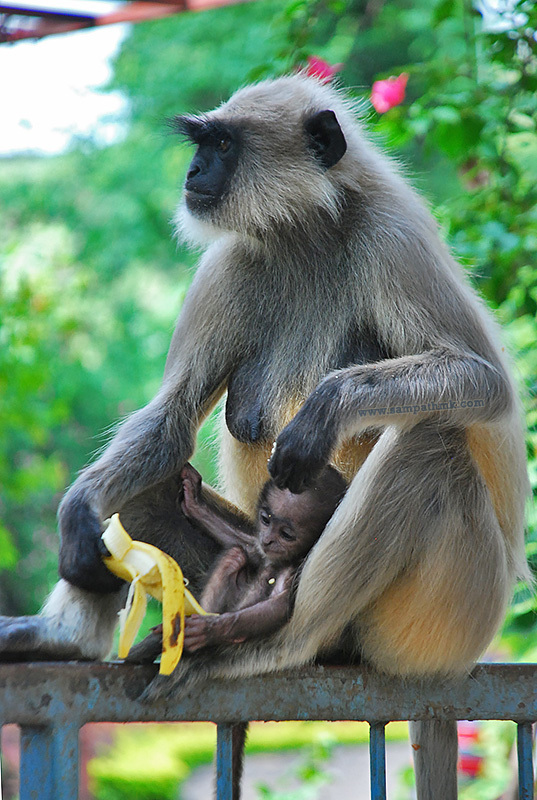 Here’s a li’l fella admiring his banana.